WOW Air has dropped some of their May and June 2016 flights from Toronto to Reykjavik, Iceland down to $278 CAD roundtrip including taxes. Although with WOW Air, one should probably think of it as $398 CAD roundtrip with 1 checked bag, as WOW Air does not include any luggage in their prices. And $518 CAD to make a fair comparison against their only competitor, Icelandair (who includes 2 checked bags). With 1 piece of luggage it's still a very good price. With 2 pieces of luggage it starts to become just an 'ok' price. UPDATE 4/20 @ 10:48 AM EST: A few May/June date combinations have dropped to $228 CAD roundtrip including taxes. Returning flights: Monday, Wednesday, Thursday, Friday, Saturday, or Sunday dates in May or June 2016. Return dates up to July 4 should work. 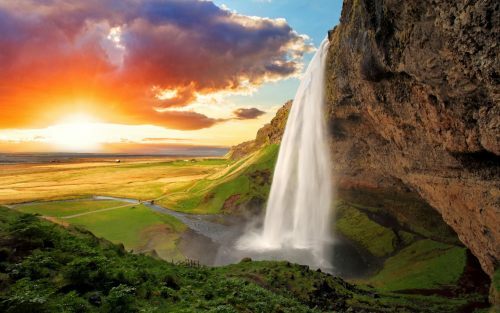 Update 8/25 - Late October and many December and November 2016 dates from Toronto to Reykjavik, Iceland have dropped to $258 CAD roundtrip including taxes on WOW Air. Update 10/4 - WOW Air has released a promo code for 20% off of November and December flights. This brings the price of some of their off-season flights (Oct/Nov/Dec) from Toronto to Reykjavik down to $232 to $247 CAD roundtrip including taxes. No Responses to "Toronto to Reykjavik, Iceland - $278 CAD roundtrip including taxes (sort of)"